MintCoin is an innovative, secure and energy efficient PoW/PoS coin. It uses a faster PoW distribution mechanism to distribute the initial coins, then after 5 weeks the coin is basically transferred to a pure PoS coin, where the generation of the coin is mainly through the PoS interests. MintCoin also adopt a variable PoS rate, which gives the highest payout at 20% the first year, then decrease 5% per year until the 4th year it reaches annual interest rate of 5%, then it will remain at this rate. Because after 5 weeks it is basically a pure PoS coin, it does not need to be intensively mined, as the PoW payout will remain the minimum. Most coins will be generated through PoS, thus it is a coin that will save a lot of energy compared to other coins. MintCoin will have a total of 70 billion coins. Initially each block will deliver 100000 to 900000 coins randomly. The PoW payout will be halved each week (7 days). After 5 weeks, the PoW payout will be fixed at 1 coin per block. PoS will start after at least 20 days of holding of the coins in the wallet. With PoS, the coin is more resilient to 51% attack. As a miner, you will be extremely rewarded to be an early adopter of MintCoin. As an investor, you will be glad to know that holding your coins in the long term will result in tremendous rewards as well. 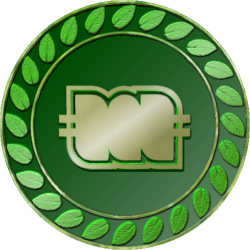 MintCoin is also designed to be widely spread amongst population all over the World, and so is available in a large quantity. 1% premine for bounties, giveaways, development, support and maintenance, new feature developments etc.